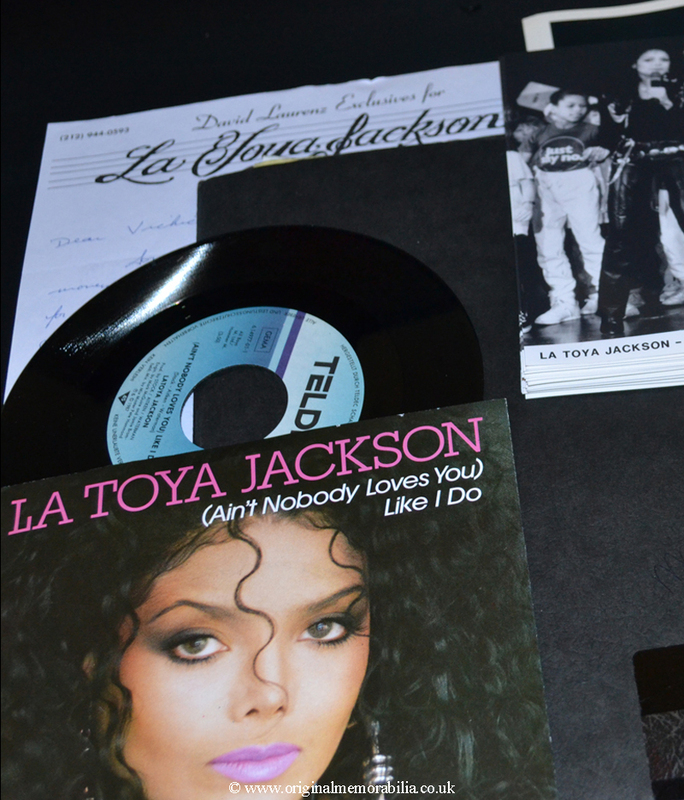 La Toya Jackson Promo & Royalty Documents La Toya Jackson unique royalty documents. 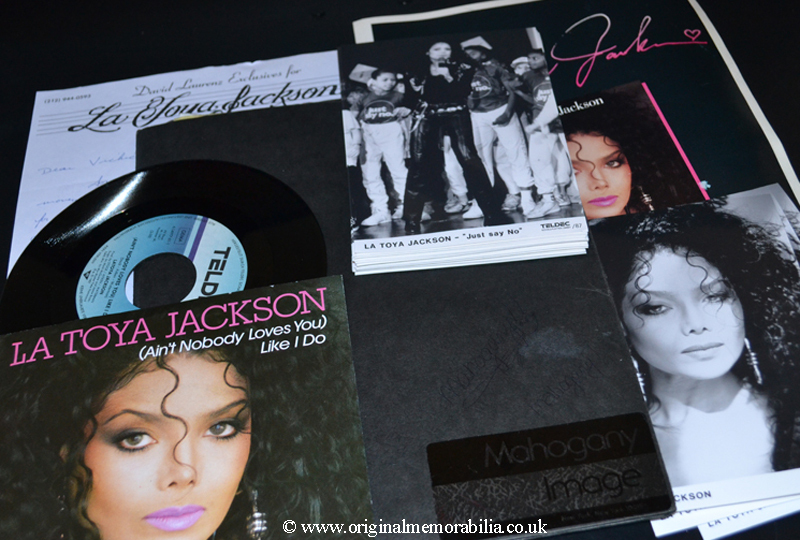 A1 condition A4 documents and photographs from collection of official Jackson Family Memorabilia. 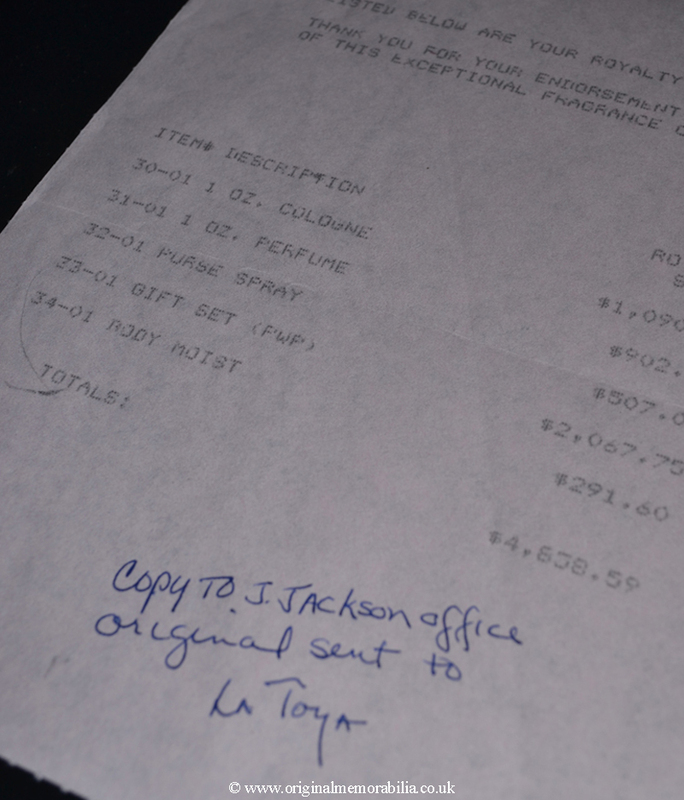 La Toya Jackson unique royalty documents. 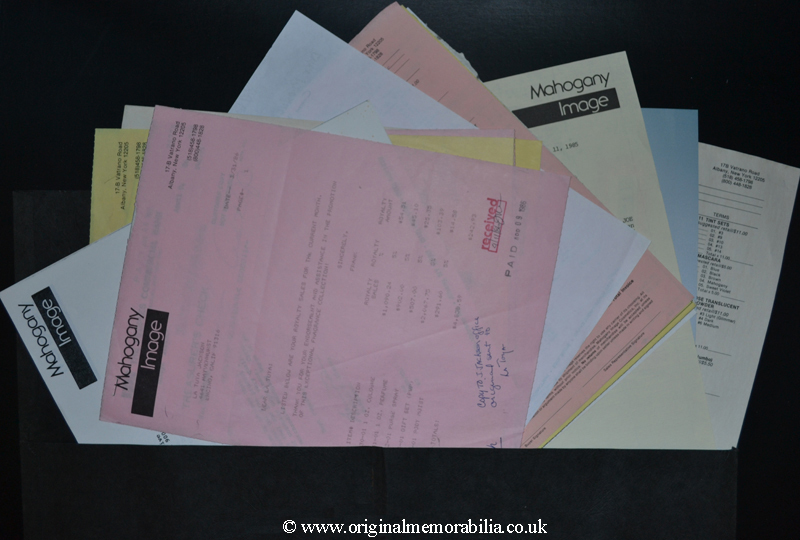 A1 condition A4 documents and photographs from collection of official Jackson Family Memorabilia. 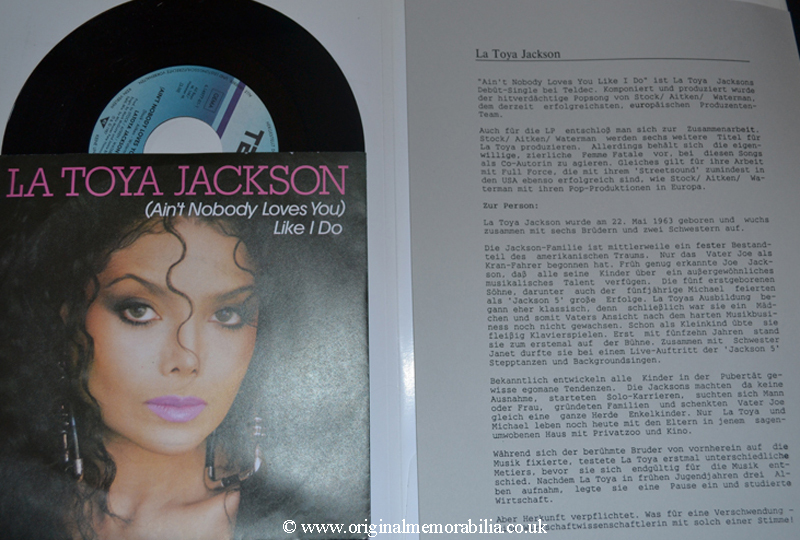 La Toya Jackson promotional pack for the German market includes 4 pages of text and 7 single of Aint Nobody Loves You Like I Do. 34 Just Say No photographs, 3 head shot photographs with TELDEC stickers added to rear. 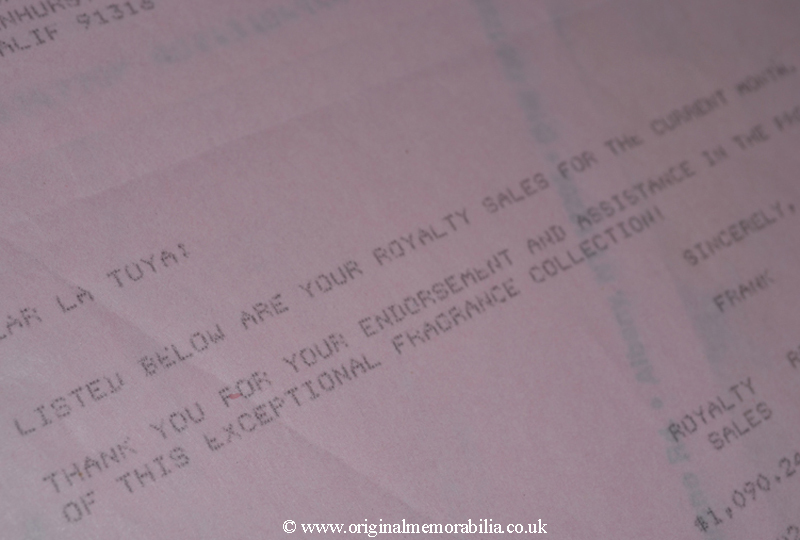 Royalty payments documents (3) for Mahogany Image product brochure, La Toya promotional advertisements (2) Product price list (6) and various handwritten notes and letters.